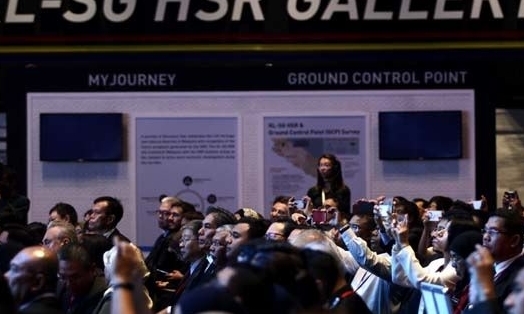 KUALA LUMPUR: The tender briefing for the Kuala Lumpur-Singapore High Speed Rail (HSR) assests company (AssetsCo), which was held on Tuesday, marks another step forward for the multi-billion-ringgit project. The amanging director of SG HSR Pte Ltd (SG HSR) of Singapore Rama Venkta said the tender briefing reflected the strong, collaborative partnership between the company and MyHSR Corporation Sdn Bhd (MyHSR Corp) of Malaysia. “We are committed to an open, fair and transparent AssetsCo tender, and look forward to finding the right partner, one who can meet our requirements and procurement standards, and deliver innovative solutions for this landmark project,” he said. The AssetsCo will be responsible for designing, building, financing and maintaining all rolling stock, as well as designing, building, financing, operating and maintaining all rail assets for the HSR. The tender aims to identify an AssetsCo which will provide solutions that prioritise safety and security, availability and reliability, proven technology, operations flexibility, customer-centric design, value for money, and collaborative project implementation with MyHSR Corp and SG HSR. He said every bid will be assessed on its own merits. The objective of the briefing was to provide an overview of the HSR project and AssetsCo tender to all the registered bidders. The tender was jointly launched by MyHSR Corp and SG HSR on Dec 20, 2017. The AssetsCo will also manage the system’s network for operations and maintenance needs. The success of the tender briefing follows the statements from both Prime Minister Datuk Seri Mohd Najib Tun Razak and Prime Minister Lee Hsien Loong at the 8th Singapore-Malaysia Leaders’ Retreat that the AssetsCo tender is a major milestone in the collaboration between the two countries.